The in-form star Sivakarthikeyan is very busy with back to back movies. He is awaiting for the release of his upcoming rural entertainer Seemaraja, co-starring Samantha which is hitting the big screens on 13th September, for Vinayagar Chathurthi weekend. 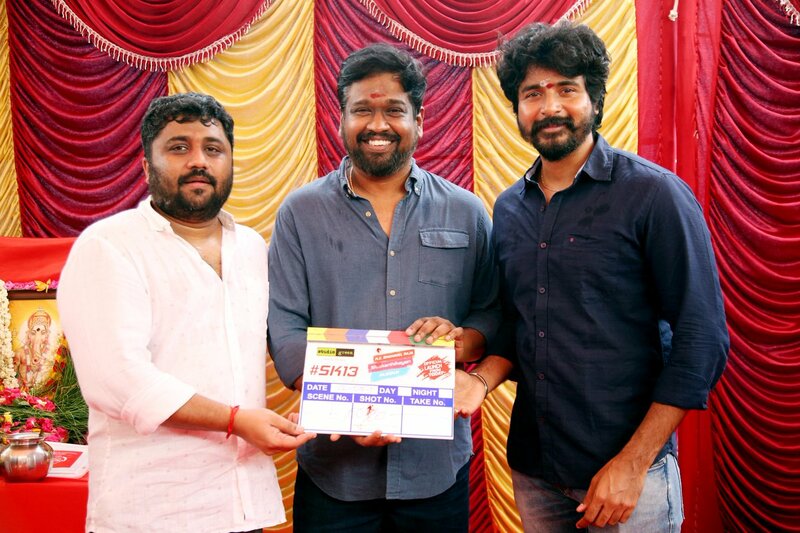 Up next is SK 13, a M.Rajesh directorial and Nayanthara will be pairing opposite Sivakarthikeyan for the second time after Velaikkaran. Shooting is going on at a brisk pace. Also last week we had a rocking update that Hiphop Tamizha is composing the music for this movie. After that, a movie which might take the star to next league, SK 14 is a magnum opus Sci-Fi entertainer, directed by Indru Netru Naalai fame R.Ravikumar. Produced by 24 AM Studios and Tollywood beauty Rakul Preet Singh is playing the lead heroine role. Music is scored by Oscar Nayagan Isai Puyal A.R.Rahman. Now we have got an exciting official news from the team regarding this Sci-Fi movie’s cast. Artist named Sharad Kelkar who has acted in few Bollywood movies like Ram-Leela, Mohenjo Daro, etc is now a part of SK 14. We . @24AMSTUDIOS welcomes #Ramleela #sardaargabbarsingh fame @SharadK7 to the sets of our #SciFi Project #SK14..